Products and Information of Interest to Tabletop RPG Fans. This site uses Affiliate Links to generate revenue. As we continue looking at New Games for Christmas, here’s a recent release from the brilliant Rose Bailey. Featuring a unique system, round-robin Game Mastering, and special Plot Cards that help you tell your story, you examine what it means to be really good at what you do, yet being rejected for being who you are. And your story is one of spies, espionage, and finding your way in a world where you’ve been cast out and need to make use of skills that hardly fit in a 9-5 pattern. Rejected by your original agency for being “out” in one way or another, now you work for the Ministry in a “60s” that never was – and it might be the 1960s, the 1760s, or even the 1260s. If you’re On Nobody’s Side, what do you stand for? You were the best at what you did, and what you did was as lethal as it was quiet. But you weren’t quiet enough about something else… your gender, your orientation, your ancestry. Your employers didn’t like who you really were, and they threw you out without ceremony or dignity. But no one wants an unemployed spy. The Ministry approached you, and gave you the chance to once again fight for the free world… or at least the free market. In exchange, on your off time, you get to be yourself, without fear of prosecution or persecution. 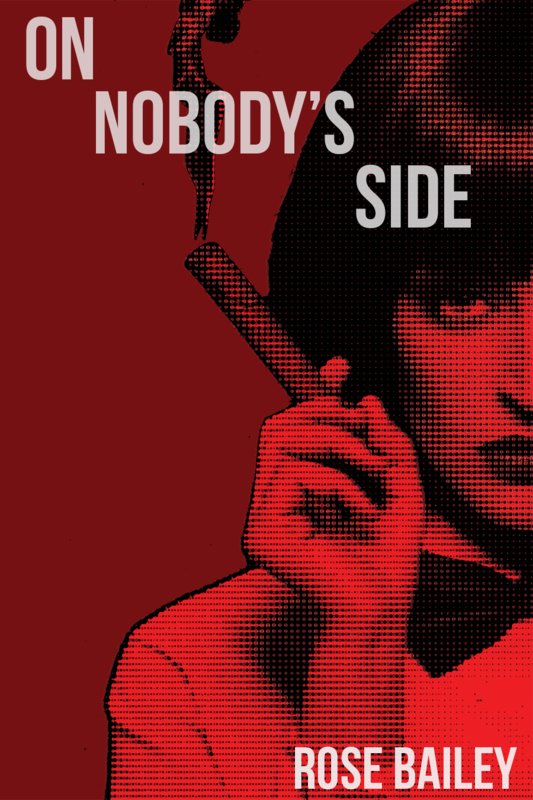 On Nobody’s Side is a spy thriller set in the 60s… any 60s you like, any midcentury flashpoint when everything’s to play for. You and your friends create spies, their contacts, and their enemies. You rotate the GM position, telling interweaving stories of action, intrigue, and betrayal. Take risks to get more dice, while matches open up opportunities and rain down consequences. Use plot cards like Irresistible Attraction, Desperate Chase, or I Expect You to Die to guide your story toward iconic spy moments. As Controller, put your spy into deadly situations, fix deals with dangerous factions, and confront other agents. Your download includes the 24-page core rulebook and 38 plot cards, in both VTT-friendly image and tabletop print-and-play formats. Writer & Game Designer: Shaintar, Star Wars, Savage Rifts, Freedom Squadron, and much more! Please check out my Patreon and get involved directly with my next projects!